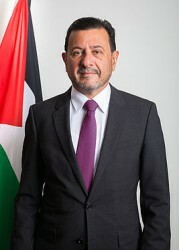 Salah Abdel Shafi was born in 1962 in Gaza. He studied economics at the Hochschule für Ökonomie in Berlin. Until 2006 he worked for various civil society and international organizations in Palestine (in particular in Gaza). Formerly also General Director of the Gaza Community Mental Health Program, a consultant, and adviser to the World Bank.